Earlier today, Michael Schmidt’s Facebook feed had three text only posts that read: “Justice Sutherland has rendered his ruling. WE LOST. No Raw milk for anybody.” “In case people don’t know they now have the power to enter the farm ANYTIME”. “IF THEY COME TO SHUT US DOWN, I can be jailed because I informed you that they can come anytime”. York Region and the Ministry of Food and Agriculture were successful with their injunction actions. 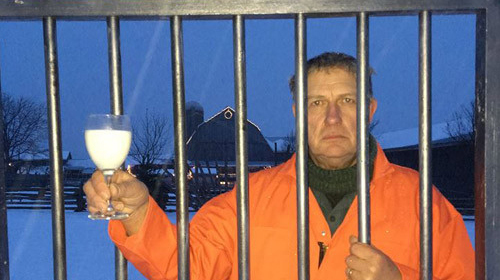 York Region had brought an injunction seeking to make the distribution of raw milk within the region illegal. The Ministry of Food and Agriculture brought a separate injunction seeking to essentially shut down the raw milk operations of at Glencolton Farms. The two proceedings were subsequently amalgamated, and the court released its decision earlier today.